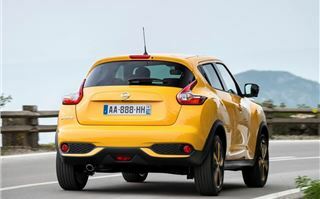 It’s quite tricky to bring a car like the Nissan Juke up to date, mainly because it already looks like it comes from the future. 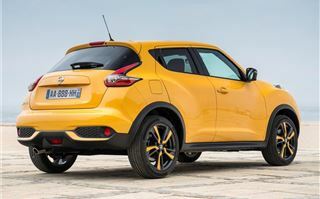 Nissan apparently realises this too, which is why the newly facelifted model looks a lot like its predecessor. The Sunderland built model has been tweaked where it matters though – there is more boot space, a new engine option and more customisation options. 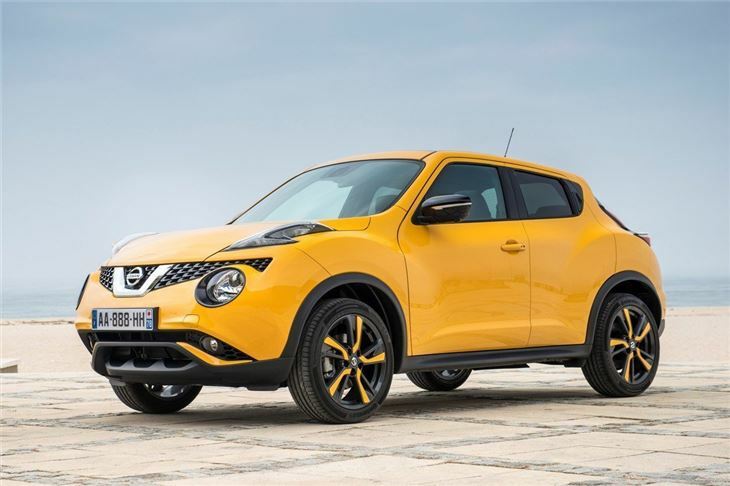 You can now pick from a range of detail packs in an array of colours – so you can have a Juke with yellow, white, black or red trim details both inside and out. Couple those with the vibrant exterior paint colours and you can really add some contrast and make the Juke pop. There are a few subtle styling tweaks too. The rear light clusters have been redesigned and look a little like those from the 370Z, while the bumpers have been reworked with an angular design. In pictures the updated car looks a lot like the old one, but in the metal the changes really come together to make the new Juke stand out – particularly the colourful trim elements. 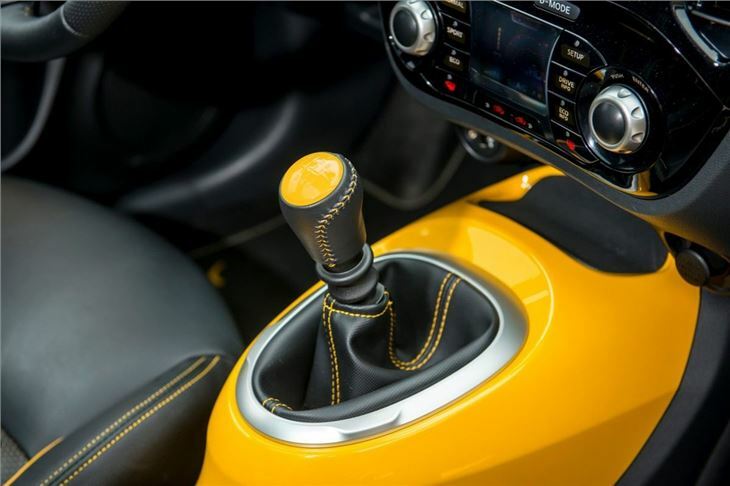 These colourful details are also offered for the cabin, so the transmission tunnel, vent trims and various other details like the upholstery stitching can be finished in bright shades. This really improves the look of the interior but unfortunately the colour options are only offered on the higher trim levels, which means entry-level cars feel dull in comparison. 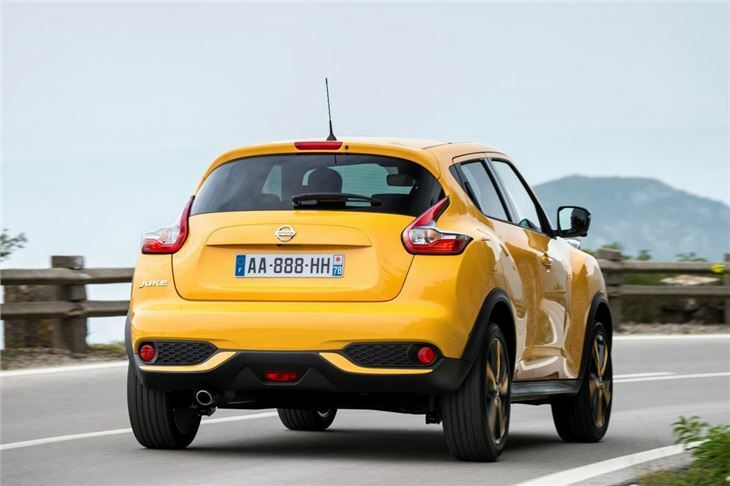 Nissan has worked on more than just the way the Juke looks though. 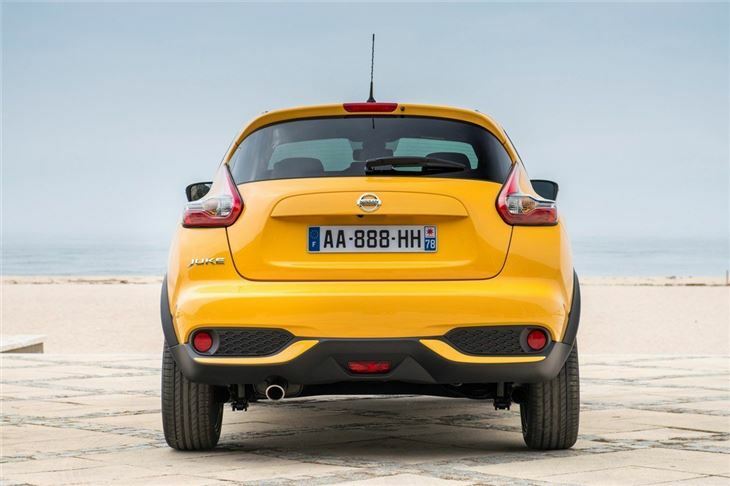 Customers who bought the old model complained about a lack of boot space, so Nissan has increased the rear load volume from 251 litres to a more useful 354 litres. 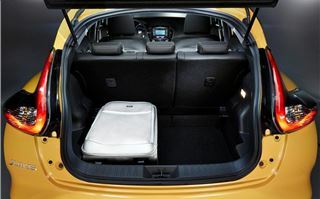 The boot is now deeper and there’s a handy false floor that makes the load deck flat, but it can be lowered to improve space for lighter items. 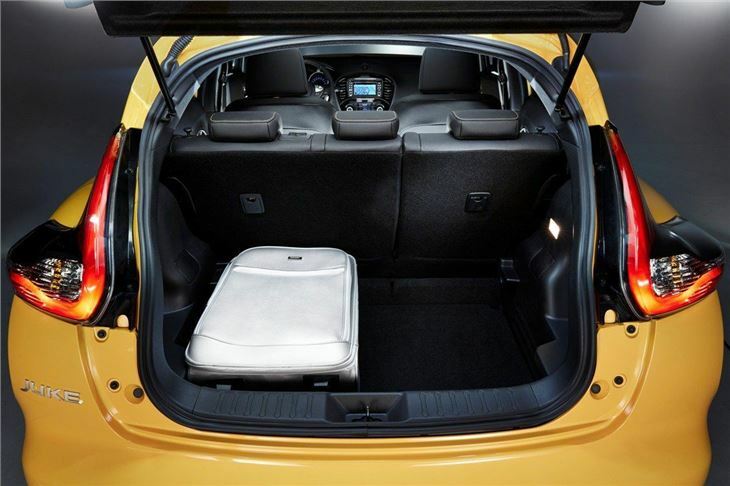 The rear row of seats folds down and, thanks to the false floor, you now get a flat load deck. That means loading and unloading big, heavy items like furniture is much easier than before. 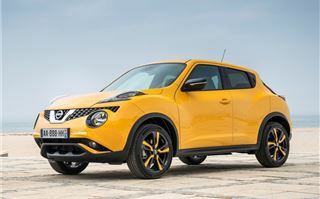 That said, the Juke hasn’t exactly been transformed into a delivery van - the hatchback opening itself isn’t the largest, so particularly bulky objects still won’t fit. 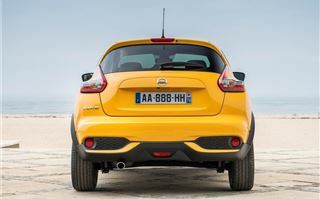 The Renault Captur is better on this front. Elsewhere, the cabin still the same limitations as before. The sloping roofline means rear seat passengers will struggle for headroom and there are a few cheap-feeling plastics in the cabin. 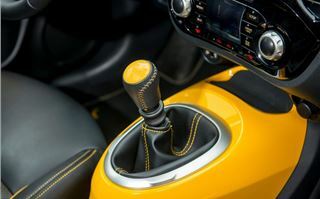 Worryingly, the colourful gear lever and handbrake surround could be easily pried off in the two cars we tested, so the kicking feet of bored children could pose problems. 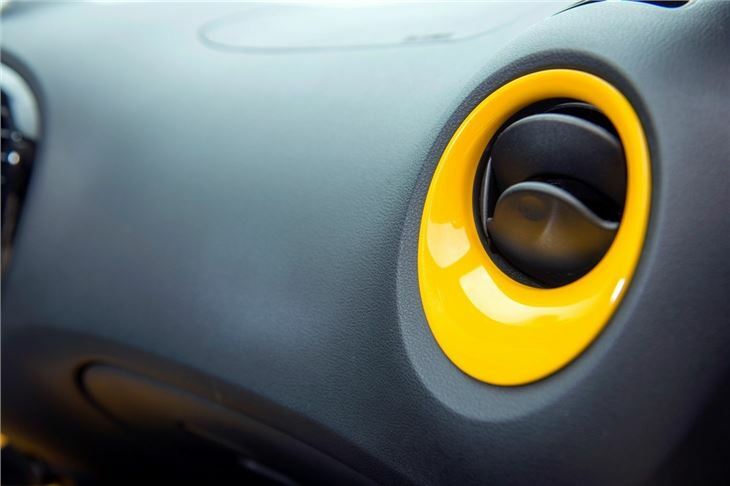 There is seat height adjustment on all models so – despite the lack of reach adjustment on the wheel - it’s easy to find a comfortable driving position. Forward visibility is reasonable, though the same can’t be said of the view backwards. 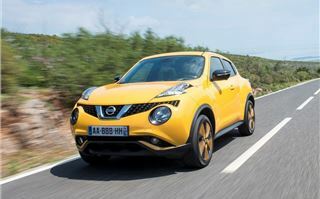 On the plus side, the Juke remains an enjoyable car to drive and Nissan has added a new 1.2-litre turbocharged petrol engine to the range that does a good job of blending performance and low running costs. Emissions for the new engine are 129g/km which is adequate for a petrol-powered model with 115PS, while official economy is 50.4mpg. It’s a versatile engine thanks to a good spread of torque, which peaks at 190Nm. 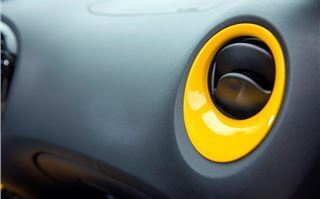 The 1.2 is at home in town or on the motorway, although for higher speed overtakes and twisting routes you’ll need to change down a gear or two. 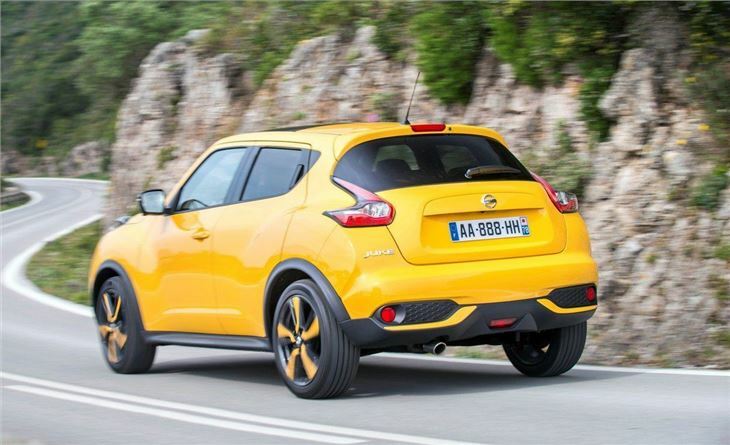 The gear change is slick and precise though, so that’s no hardship even on a spirited drive. 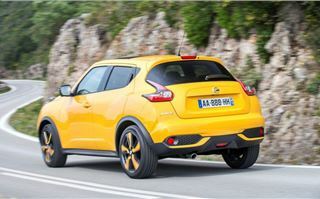 Nissan has continued the rest of the engine range alongside the new 1.2, meaning there is a 110PS 1.5-litre diesel, a 94PS 1.6-litre petrol, a 117PS 1.6-litre petrol and a 1.6-litre turbocharged petrol with 190PS. 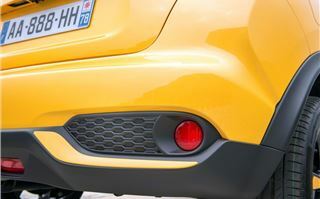 These have undergone minor tweaks to lower emissions and improve fuel economy slightly. 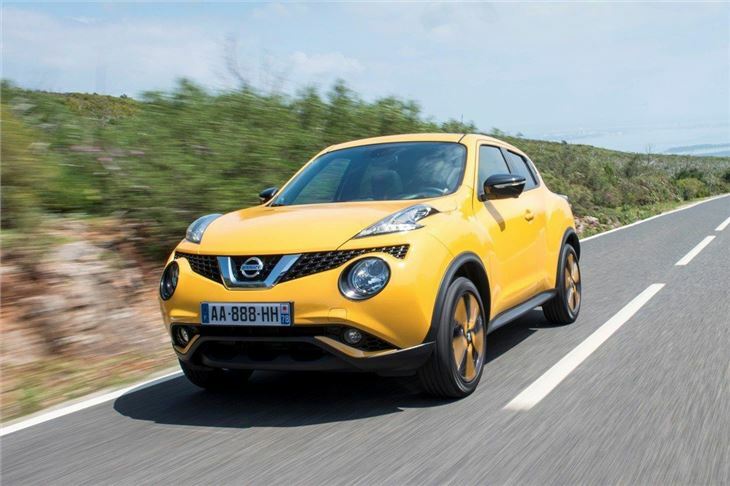 It might be a high-riding crossover, but the Juke is still good fun. The steering is well weighted and there’s little in the way of body roll through corners even when you push on. There is plenty of grip, so for enthusiastic drivers there’s a lot to like. 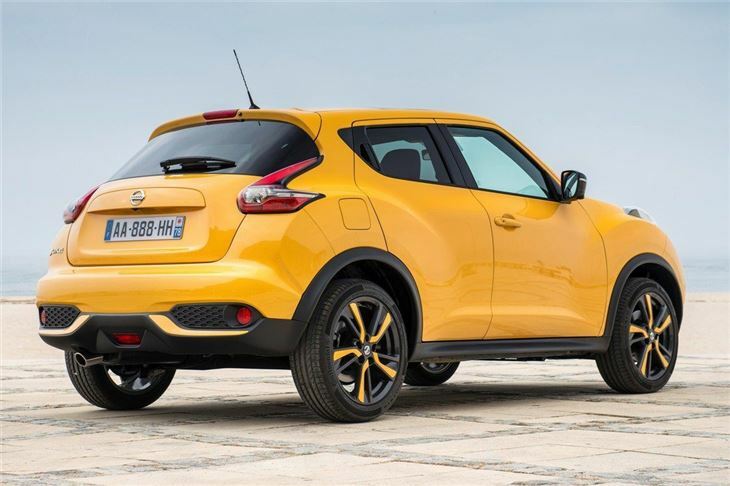 That said, Nissan has worked on the suspension to make it more accommodating so at low speeds the updated Juke rides fairly well over potholes and bumps. If you already like the Juke’s standout style then the tweaks will only add to the appeal. 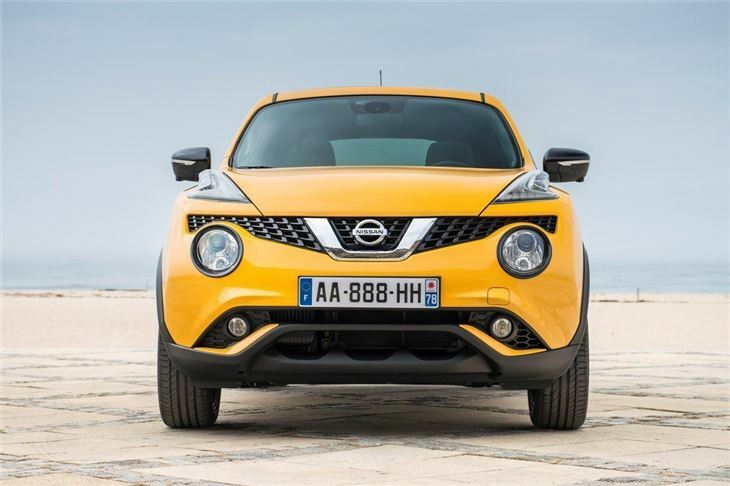 It’s now possible to make the car look even more striking, but with the added benefit of increased practicality and the impressive 1.2-litre petrol engine. 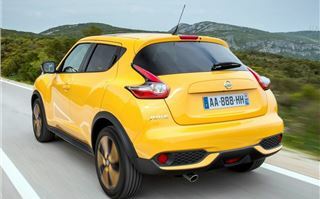 Cars like the Renault Captur and Kia Soul might offer more versatility and space, but Nissan’s tweaks mean you should keep the Juke on your radar if you’re after a stylish crossover.